The winter road is freshly ploughed and the snow glitters in the light of the headlamps with the dark forests as a frame on both sides. The dreamy, magic landscape and the snow on the windscreen accompanied by the electronic bounce of Beach House provide for a great atmosphere; somewhat unreal, like in a film. We are on our way. We don’t care that the snow falls faster once we are past Sveg. The wide roadsides allow us good visibility and when some twenty reindeer have settled in the middle of the road we have plenty of time to brake and stop. They inspect us with curiosity before tiring and dropping off. We continue our drive and a few kilometres after Hede the snowfall subsides. The sky and the forests open up as Funäsdalen welcomes us. The mountain and the village light up the village. Come morning in Hotell Funäsdalen the sun wakes us up and after breakfast we take the car for about 800 metres uphill to Funäsdalsberget’s guest centre by the six-seater chairlift Kåvan Express. the mountain in the middle of the village promises well. towards the valley. It is easy to like the ski area with its alpine character, easy access and short lift queues. The park is of high class and there are challenging forest runs inviting off-piste skiing. An early morning following a real snow dump is magic; miles upon miles of views, all the ingenuity of the mountain and you and your skis.When in Funäsfjällen, this mountain is a ‘must’. but the alpine resort reopened in 2004 and now comprises 5 lifts and 17 pistes, and in addition, the off-piste skiing is truly great. 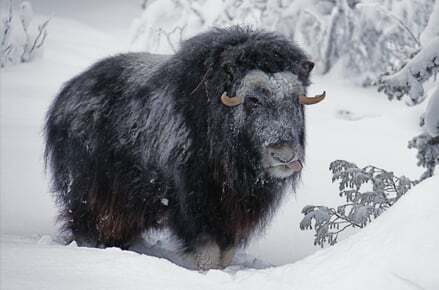 Tännäs also tempts with some extra special experiences, here you can visit the musk-ox pen. 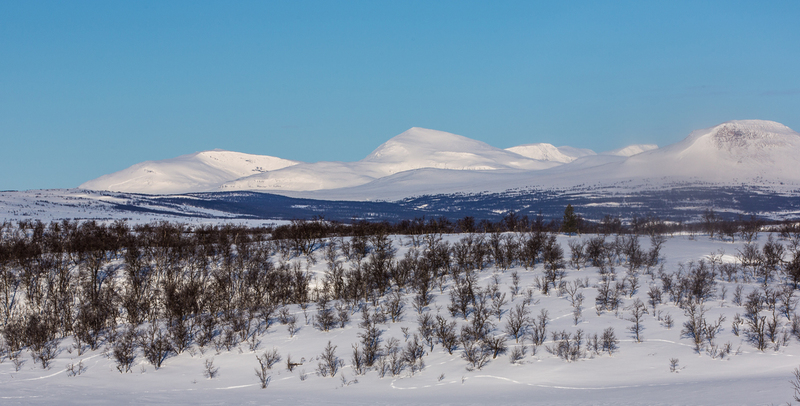 We drive back to Funäsdalen, and through it, opting for the road towards Norwegian town Röros. 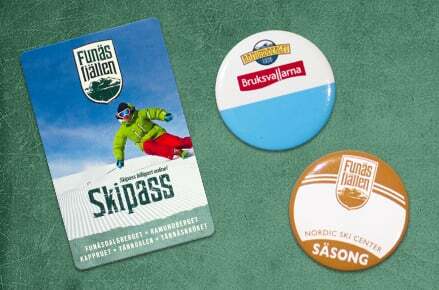 comprise the ski area of Tänndalen. This part is blessed with some five metres of snow every winter. The snow dumps actually characterize all of Funäsfjällen. Hence if you like natural snow, sparse birch-tree forests and bare mountains, then you have come to the right place. skiing. Glide around and have fun, pick up speed and set off beyond the pistes. Here are vast slopes in various degrees of difficulty, starting in the bare mountain region down through the birch-tree forest. When the legs need to restock energy supplies there are several cafés and restaurants on the slopes in strategic settings along the valley. necessary in terms of services, good food and accommodation and of course, brilliant skiing. Here is also a park, attracting both beginners and pros. You should also make a point of visiting the summit café Tusen. This is an awarded building with delicious food. ideal conditions for relaxed skiing, irrespective of the weather. more for pleasant and gentle tours rather than exhausting exercises.